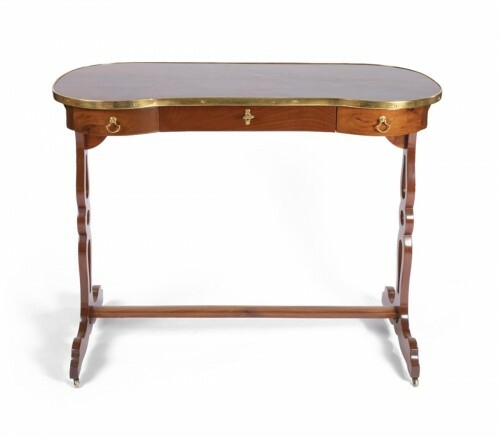 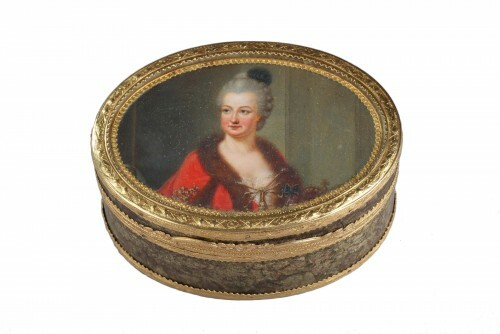 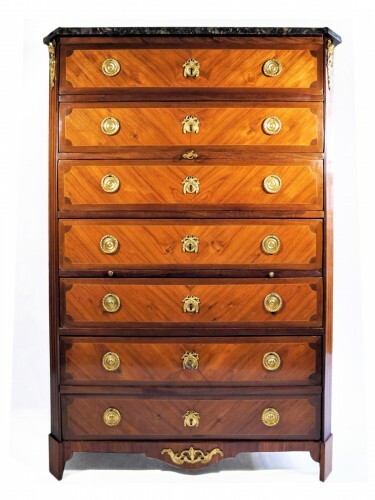 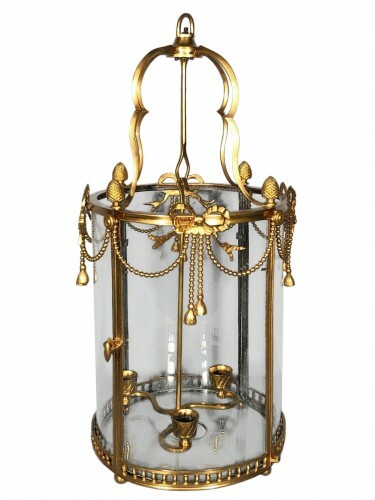 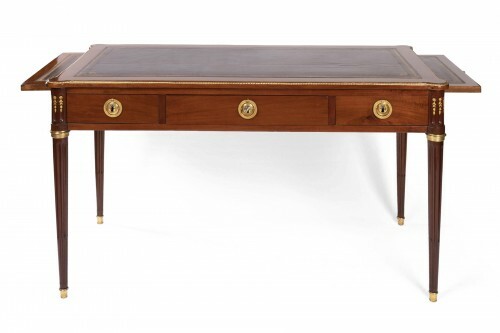 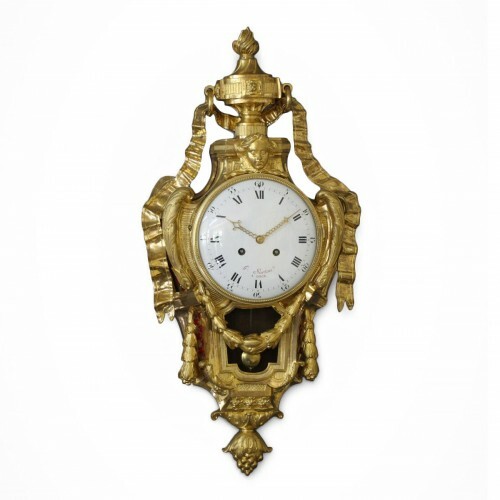 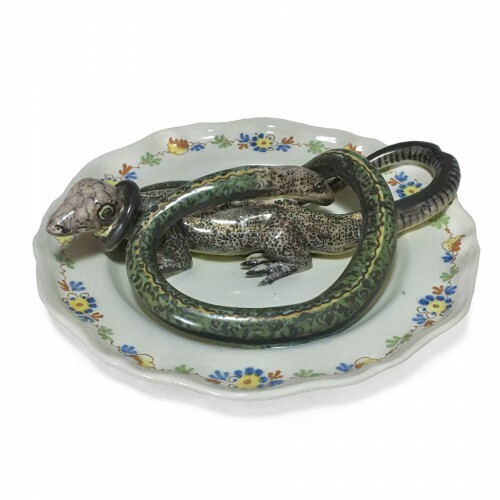 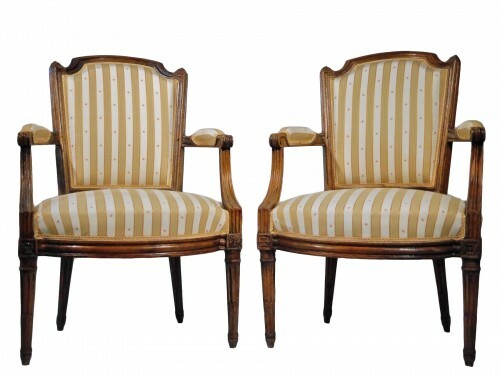 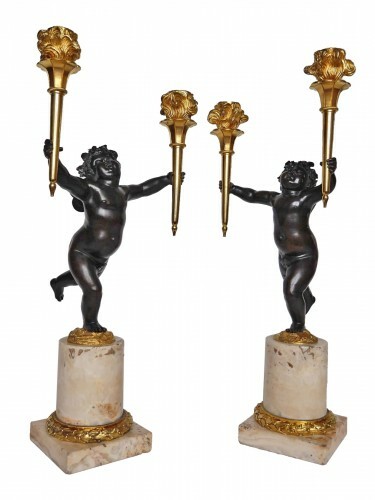 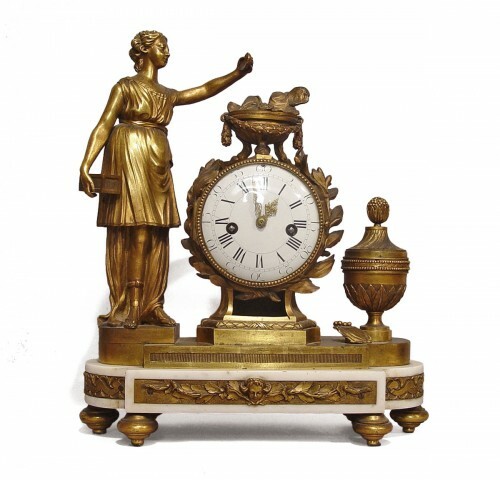 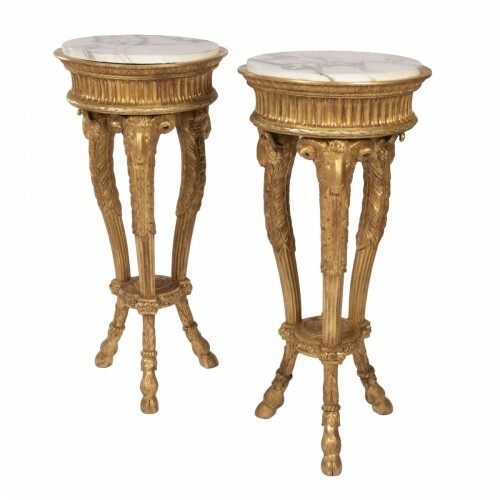 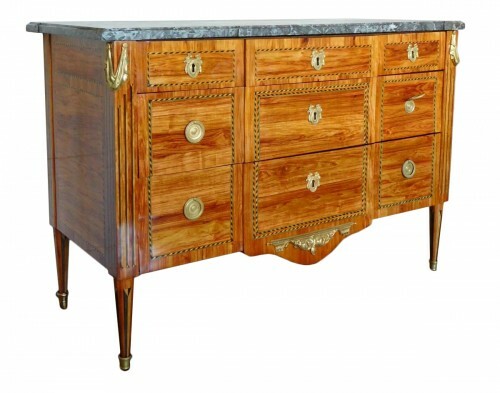 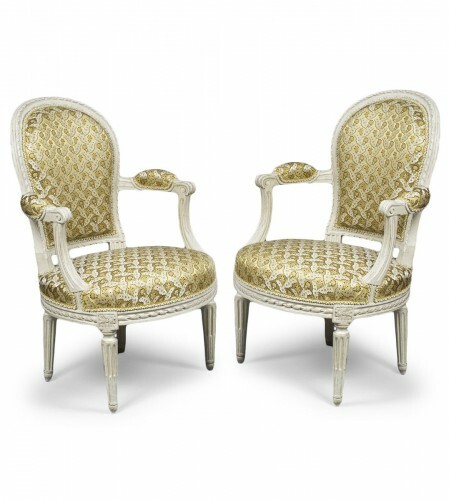 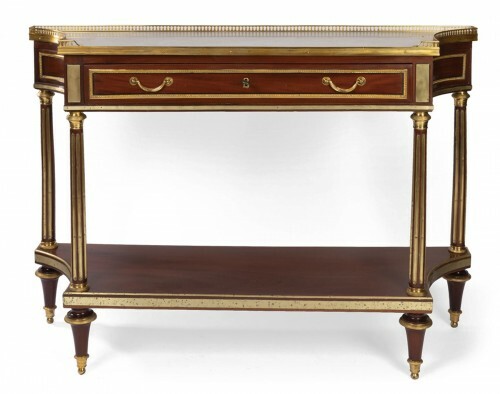 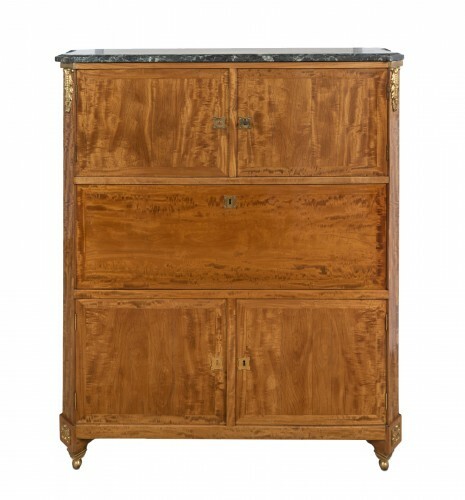 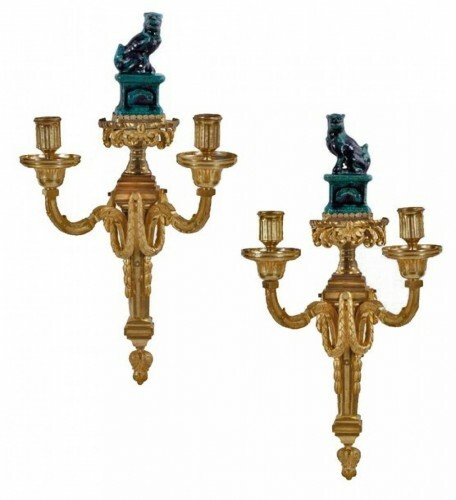 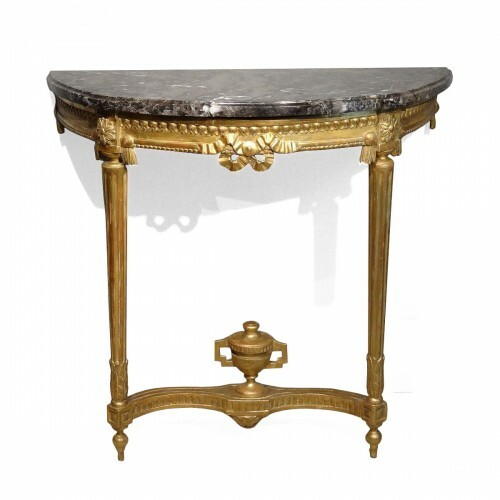 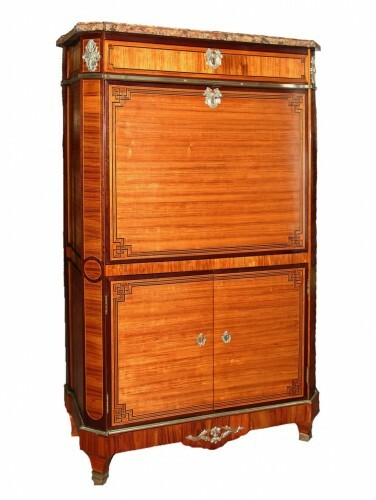 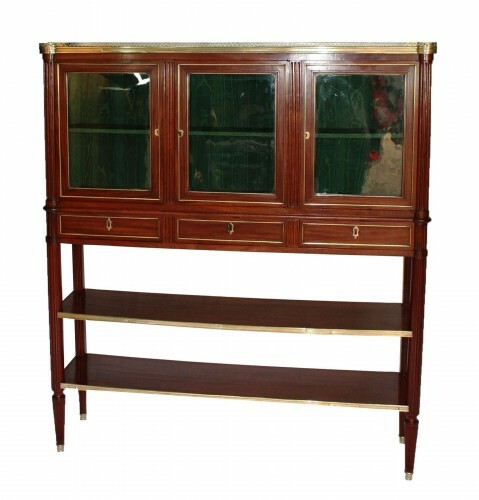 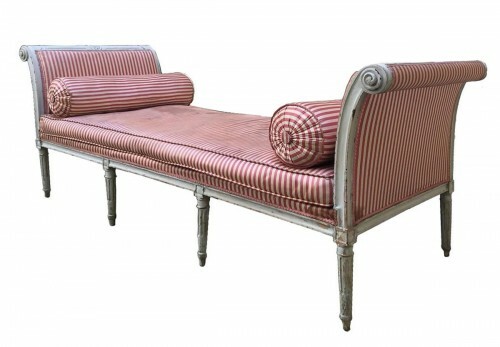 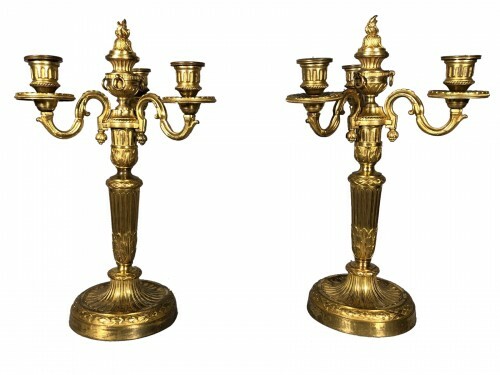 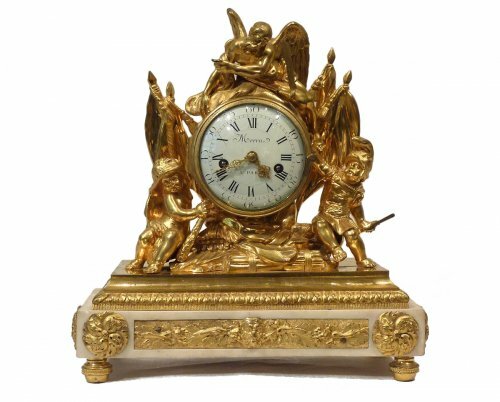 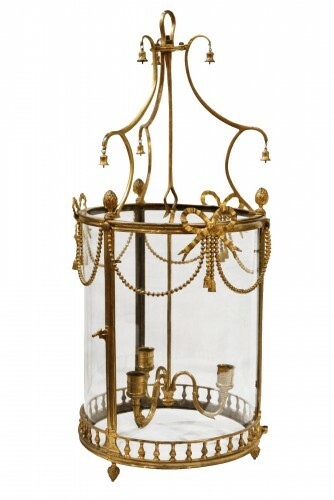 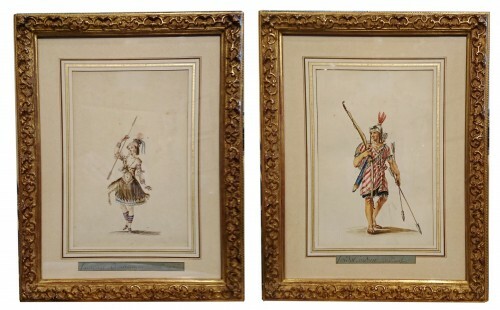 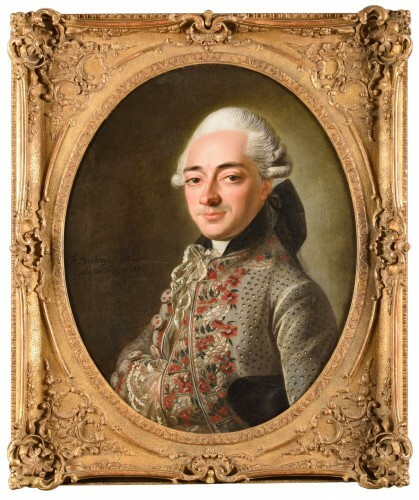 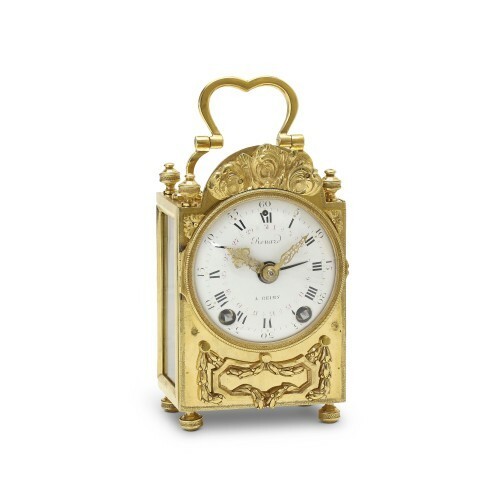 The antiques and objets d'art from the Louis XVI attest to a heritage of neoclassical aesthetics. 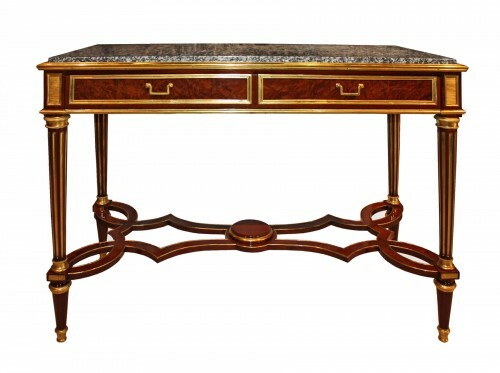 The furniture marked a return to straight lines, rectangular designs, and discreet ornamentation. 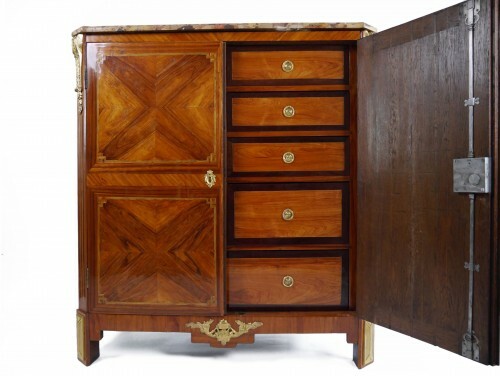 The rocaille curves were no longer fashionable. 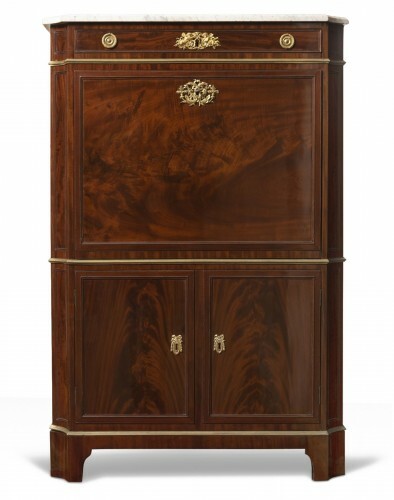 Cabinetmaking made extensive use of wood veneer and, particularly, mahogany, which was introduced by the cabinetmaker Oeben. 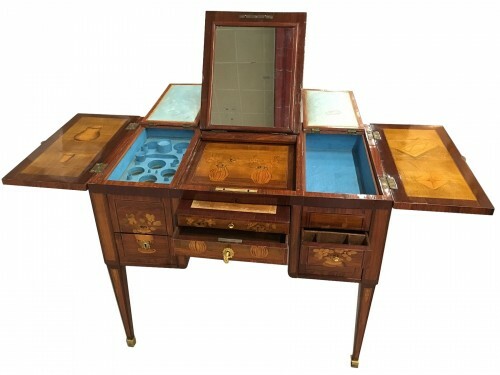 Marquetry was very fashionable. 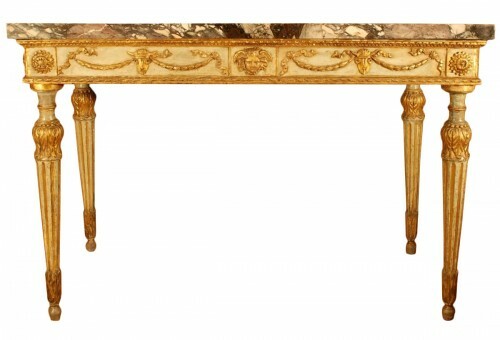 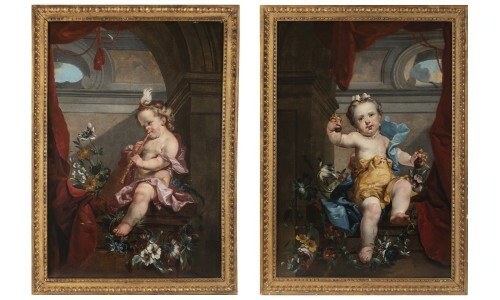 Sèvres porcelain and grey St Anne and Brèche d'Alep marble were also used in the creation of the most refined works. 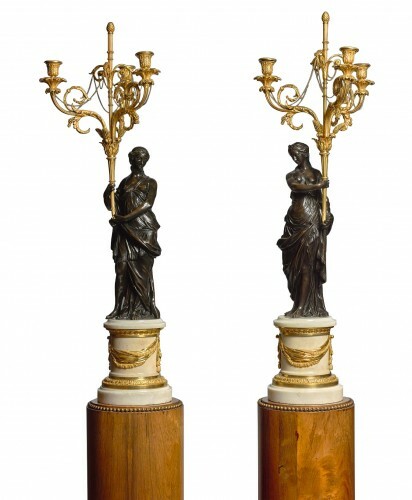 Bronze was used in a discreet and symmetrical fashion. 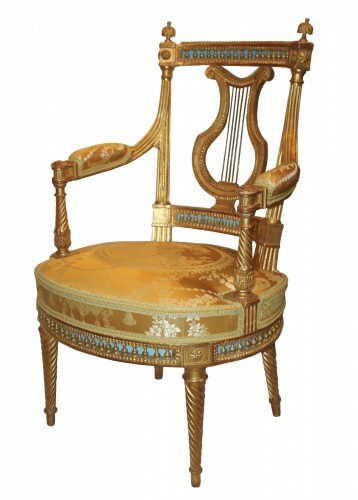 Copper, steel, and wrought iron were used to terminate the legs of the furniture. 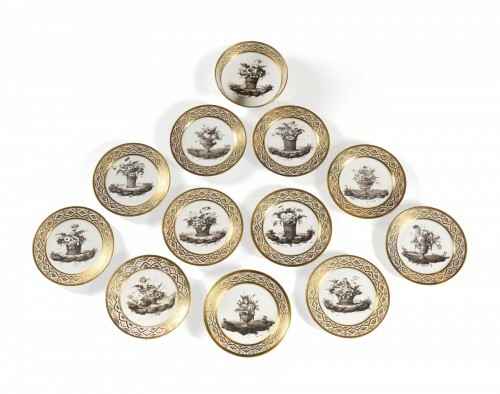 The motifs inherited from the classical Greek and Roman tradition were updated: asparagus tips, rosettes, knots, ribbons, musical instruments, fluting, palmettes, scenes, and medallions.